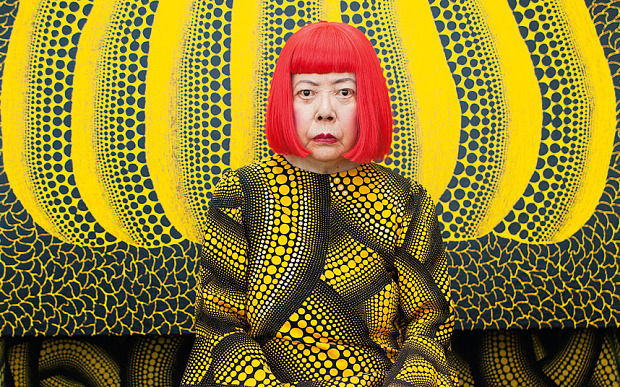 Yayoi Kusama is probably the most influential artist that you've never heard of. There are any number of reasons why you may not have run across her before, unless you're a devotee of the early 1970s abstract expressionist art movement that was quite popular in New York City around that time. Recently, however, someone got around to tallying up the attendance numbers of her work in 2014, and the numbers seem to showcase something rather extraordinary. Her works attracted an astonishing 2 million viewers in the year 2014, which easily makes her the most popular artist in the world for that year. Stop and think about that for a second. Not only is it a wildly impressive statistic, it is even more poignant for the fact that most people under the age of 60 have probably never heard of her before. She influenced a number of genres and artists that you have heard of, however, including Andy Warhol, Claes Oldenburg, the entire abstract expressionist movement and the ridiculous joy we have all come to know and love as Pop Art. So where did she come from? No artist emerges from a vacuum, and Yayoi is no exception. Born in Japan to a family of merchants in 1929, she rebelled against the prescribed life her family offered and opted to become an artist. Frustrated with the exquisitely beautiful but conservative nature of the Japanese art scene of the time, she decided to move to New York City in the late 1950s and began to work in the abstract expressionist style that was a major theme in American art at the time. When the 1960's hippie movements kicked off in full force by the end of the decade, she was well positioned to incorporate the free-spirited nature of the age, and gained recognition with works that blended performance art, exhibits and exhibitionism. The 'happenings', as they were termed, tended to involve a crowd of naked participants festooned with polka dots, which was naturally quite risque for the time. Unfortunately, like many creative types, she found herself experiencing psychiatric problems, and voluntarily admitted herself to a care facility in her native Japan, although she still continues to produce works from within that environment. She should also be credited for incredible staying power - at age 86, she's still putting on shows and exhibitions around the world! Her newest solo show will be opening on September 17th at the Louisiana Modern Art Gallery in the United States.